An interview should be arranged through the parish office before any other arrangements are made. Membership of St Michael’s is required, as we take Baptism seriously and want you to be regular worshippers with us. New members should be willing to allow time for us to get to know you before finalising a baptism date. The Baptism course consists of two 1-hour sessions, held on Saturday mornings on alternate months. The sessions comprise an outline of the Anglican Church, a look at the life and ministry of Jesus, the Creed and basics of our Christian faith, the importance of belonging to the Christian family, and the meaning of Baptism. Parents of the child being baptised must attend all sessions. 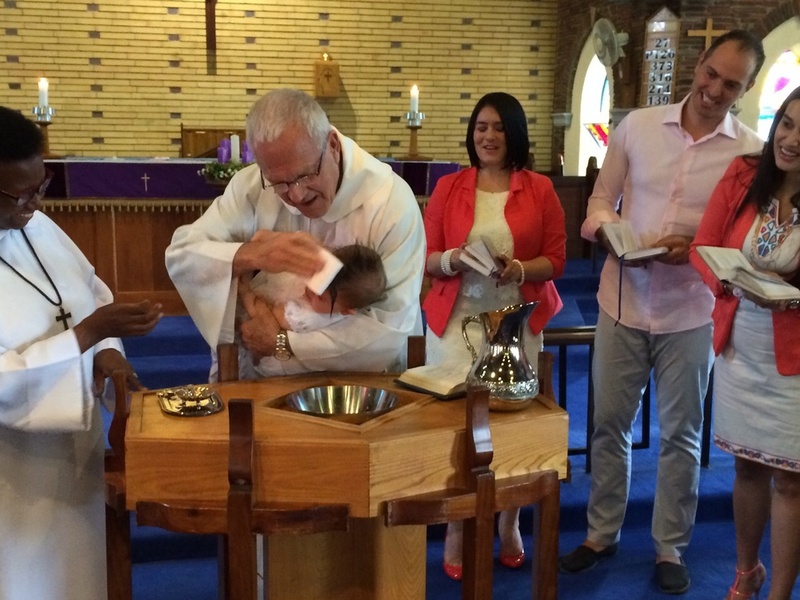 Godparents should attend the last session, if possible, but are more than welcome to attend the whole course. The sessions run from 09h30 to 10h30, and are aimed at answering any questions you may have. Please contact the Church Office on 011 706 6050/1/6 if you'd like more information or would like to arrange an interview.